Knowledge Base > Taqyeem > How to add a review inside posts ? From the Taqyeem – Review options box in the post edit page . 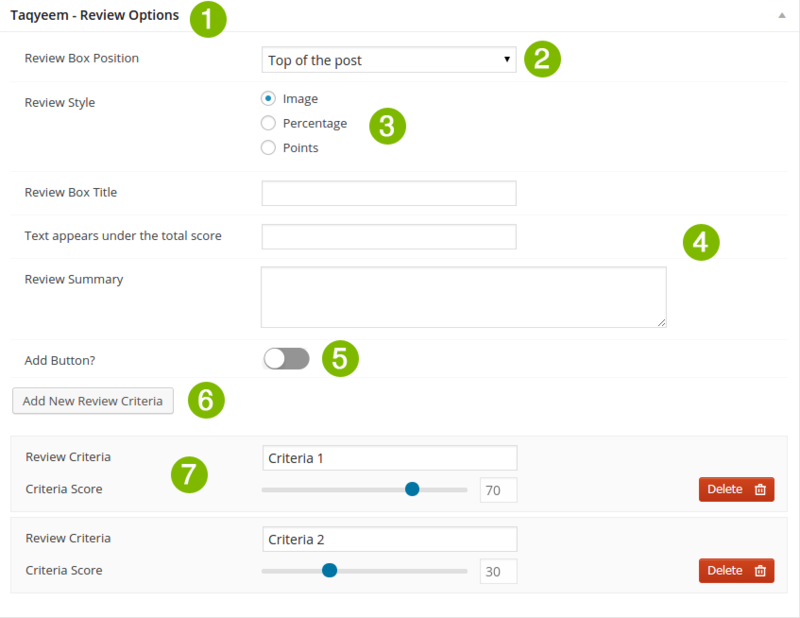 Type your Review Title, Summary and Text appears under the total score. Enable Add Button to check button settings. Once its all done, make sure you click the Publish / Update button.